Thank you for your interest in King Nut Companies. We are glad you consider our company for your future career goals. King Nut/Peterson Nut and Summer Harvest Brands is the world leader in supplying the airline industry with packaged nuts, snacks and fruit mixes. We produce almost ½ billion bags of nuts, nut mixes, peanuts, snack mixes, dried fruits and dried fruit mixes every year. We also service national and local grocery and retail chains, restaurants, we co-manufacture for other national brands and also make a number of other retailer’s private label products. King Nut Companies works with our employees as team members. The success of our company has always been the hard and innovative efforts of all our team members. 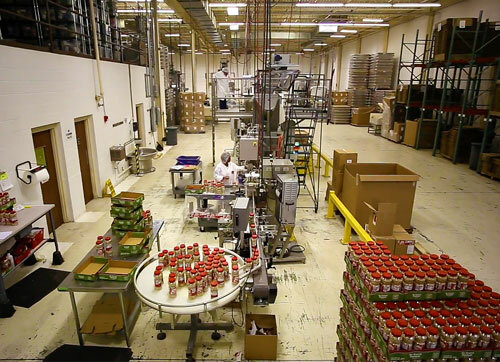 Our three modern facilities and state of the art equipment coupled with the talent of our team members is what enables King Nut to make high quality products. King Nut offers a competitive wage—including benefits such as medical, dental, vision, short-term disability and life insurance, paid vacations and holidays. We welcome you to join our growing company of over 300 team members. You will be proud to work for our internationally known company—where you will enjoy a nice atmosphere, modern surroundings, one of the best suburbs in Cleveland and very friendly people to work with.